7 Flavors available in 3% and 5% nicotine. Shipping Now. All flavors are now available in 60ml chubby bottles. 1. Having arrived at such a stage of growth or development as to be ready for reaping, gathering, eating, or use, as grain or fruit; completely matured. If I could give 10 stars I would! 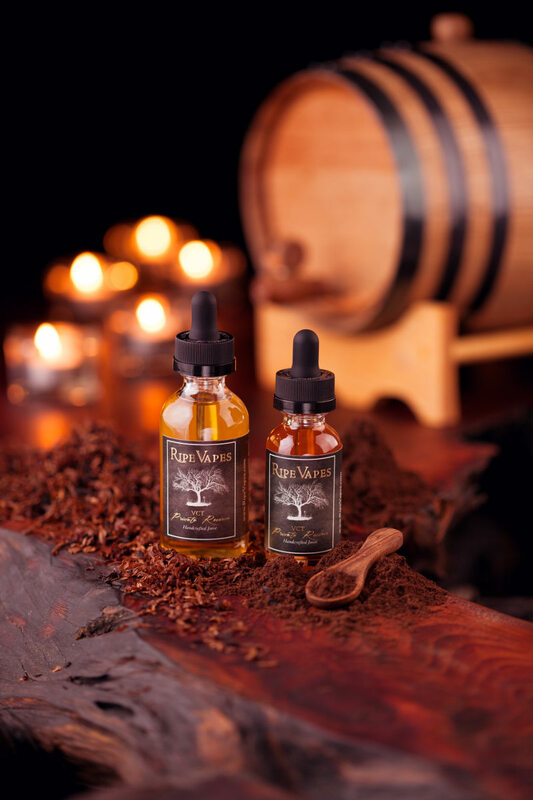 I have been picking this VCT up at a few of the local b&m here in WA state and it is the BEST tobacco based juice I have EVER had! By. Far. My. Absolute. Favorite. VCT is just so perfectly sweet and flavorful. I can’t get over it. Still as good as the first time I tasted it. Not your grandmas vape juice. The pear and almond spank you like a red headed step child.. if you want flavor. Get you some. Stopped by a local b&m and was trying out banana juices. When I tried the Monkey Snack I was hooked. This juice tastes amazing everyone needs to try it. NOT FOR SALE TO MINORS | CALIFORNIA PROPOSITION 65 - Warning: This product contains nicotine, a chemical known to the state of California to cause birth defects or other reproductive harm. Ripe Vapes products are not smoking cessation products and have not been evaluated by the Food and Drug Administration, nor are they intended to treat, prevent or cure any disease or condition. The products sold on this website are intended for adults ONLY! BY ENTERING THIS WEBSITE, YOU CERTIFY THAT YOU ARE OF LEGAL SMOKING AGE IN YOUR STATE, AT LEAST 18, 19 or 21 YEARS OLD. Warning: the body of evidence as to the actual effects of diketones is unclear in the context of vaping and is largely unknown and assumed, and the levels of any diketone chemicals in vaping liquids has yet to be addressed and/or regulated by the FDA here in the US. Below is a list of warnings that you should be aware of in general about vaping any E-Liquid, regardless of diketone content. Keep all directions for future use and use only as instructed. This product is not intended for non-smokers. Don’t use if you currently don’t smoke tobacco. Electronic cigarettes, personal vaporizers, and e-liquids are not are not approved by the FDA. This product is not a smoking cessation device nor is it intended to be one. If you are trying to quit smoking or vaping please consult your doctor. You must be of legal smoking age in your jurisdiction to use this product. Do not drink the e-liquid, or puncture the cartridge. Expect to have variances of the ingredients and nicotine levels. Exact amounts are not guaranteed by volume or by way of aerosol. Vape away from the vicinity of people and pets. The effects of second hand vapor have not been scientifically confirmed. However, Propylene Glycol is an allergen and Nicotine is known to cause reproductive toxicity. Use this product in moderation, especially your first time. Failure to do so may cause nicotine overdose which can lead to an irregular heart beat and other symptoms. Drink at least 8-cups of water daily. Nicotine is a vasoconstrictor and water aids your body to metabolize the nicotine. 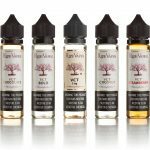 Flavorings in the e-juice may contain trace amounts of nuts, gluten, sugar, or other sweeteners. Flavorings may also contain artificial colors, artificial flavors, and artificial sweeteners. Vaping flavorings may cause respiratory illness, disease, or symptoms. Do not mix different brands or flavors of e-liquid, as doing so may result in injury. Do not use this product if you are allergic or sensitive to any of the ingredients such as Propylene Glycol, Vegetable Glycerin, Nicotine, and food flavoring. Additional Nicotine warnings: Nicotine is a highly addictive substance and can be poisonous with serious health consequences including death. You should not use this product if you have any underlining medical conditions which may be aggravated or exacerbated by this product. You may experience certain symptoms after using this product. Some of the side effects of nicotine may include irregular heartbeat, changes in blood pressure, inflammation of blood vessels, chest pain, and depression, shortness of breath, sweating, dizziness, dry mouth, throat irritation, rash, swelling, nose bleed, diarrhea, headache, and dry mouth. Consult your physician prior to using this product. Nicotine is quickly absorbed with skin contact. Keep away from skin, eyes, mouth, and any other area of the body. In the event that you become in contact with nicotine, wash the affected area with soap and water for at least 15 minutes, and immediately contact your local Poison Control Center. Drug interactions: Nicotine may interact with certain pharmaceutical drugs. Consult your physician or pharmacist prior to use to avoid serious complications. Do not use in conjunction with illicit drugs, alcohol, energy drinks, herbal, nutritional, and/or nutraceutical supplements. Do not use before, during, and after exercising. Children and Pets: Keep away from children and pets. Small parts and or e-juice may be ingested and may lead to suffocation, injury, poisoning, and/or death. Do not dispose of in trash containers nor litter the environment. Please recycle or dispose according to local law. Propylene Glycol is poisonous to aquatic animals. Not for use by woman who are nursing, pregnant, or are planning to get pregnant. Vaping and exposure to vaping may potentially cause the emergence, contraction, contribution to, aggravation or exacerbation of various forms of adverse health effects including but not limited to cancer, heart disease, arteriosclerosis, cancer, carcinoma, liver disease, respiratory disease or illness, cancerous or precancerous abnormal condition or conditions, disorder, sickness, ailment, unhealthiness, symptoms, diseases, illness or malady of the human body. DANGER: This product contains Nicotine and is not for anyone under the legal smoking age or women that are pregnant or breast feeding, as well as persons with any existing medical conditions. Keep away from children and pets, Nicotine is a Toxic and addictive substance. This product has NOT been approved by the FDA. California Prop 65 WARNING: This product contains chemicals known by the state of California to cause cancer, birth defects or other reproductive toxicity. If this gets in contact with skin, wash with soap and warm water and call poison control center at 1-800-222- 1222. The Vaporized aerosol of the chemicals are known to cause respiratory or other diseases and in some cases are irreversible. Consult your doctor prior to use of this product.